Recorded and reported crime are down. Fewer cases reach the criminal courts. More defendants plead guilty, and earlier than in the past. There is substantially less work for advocates to do. Its character is different, with more straightforward cases and fewer contested trials. In the publicly funded sector (86% of the total), it pays less well. There has been a marked shift in the distribution of advocacy work in the Crown Court between the two sides of the profession. There are many more solicitor advocates than there were in the years following the liberalisation of rights of audience. Between 2005-06 and 2012-13, the percentage of publicly funded cases in which the defence was conducted by a solicitor advocate rose from 4% to 24% of contested trials and from 6% to 40% of guilty pleas. Both figures are on a rising trend. In 2012-2013, Crown Prosecution Service (CPS) in-house lawyers led the prosecution in approximately 45% of Crown Court trials. He noted that there would be serious implications for the criminal justice system, if current trends towards the use of solicitor advocates and away from the criminal Bar continue. Sir Bill was clear that it would be neither feasible nor desirable to wind the clock back on rights of audience. He found that solicitor advocates are a valuable and established part of the scene. But if the Bar’s share of the work continues to decline, as the current generation moves to retirement, the supply of top-end advocates to undertake the most complex trials would be in doubt. This stark assessment is the background to a new consultation, launched in October 2015 by the government, setting on a number of measures it argues are necessary to enhance the quality of advocacy in criminal cases. The Government has a responsibility to ensure the delivery of an efficient, fair and effective justice system in which the public has confidence and therefore has a legitimate interest in making sure that good quality criminal advocacy services are available to those that need them. The government, via the Legal Aid Agency (LAA), is also the largest single procurer of criminal defence advocacy services, and has a responsibility to ensure that, where such advocacy services are being paid for with public money, they are of a good quality. The period of consultation expires at the end of November 2015. If these, or measures similar to what is proposed go ahead, they will have a profound impact on the ways in which criminal practitioners work and the way in which the Legal Aid Agency operates. For Sir Bill Jeffrey’s report go to https://www.gov.uk/government/news/advocates-must-adapt-to-a-changing-landscape. On 15 June 2015, I wrote a short note on the then recently published Annual Report of the Legal Aid Agency. I deplored the fact that, by comparison with its predecessor – the Legal Services Commission (whose Annual Reports not only reported on how the organisation was doing but also on the work undertaken by legal aid providers, the innovations it was seeking to introduce and the concerns it felt about the overall robustness of the scheme for delivering legal aid services), the Legal Aid Agency’s report was very narrowly focussed on corporate concerns.There was no information about the services being delivered to the public. 1.The gradual decline of recent years in crime lower workloads has continued in the context of falling overall crime rates, and the latest quarter saw a 7% fall compared to the same period in the previous year. 2. Expenditure on crime lower has declined more than workloads, down 14% compared to the same period of the previous year.. This reflects the introduction in March 2014 of a reduction of 8.75% to the fees paid for most crime lower legal aid work. 3.In crime higher, the trend in new work entering the system has dipped in the last few quarters. The number of representation orders granted in the crown court in the last quarter was down 13% compared to the same period of 2014. Part of this reduction was due to fewer cases being in the criminal justice system. Workloads in civil representation fell by a smaller proportion than legal help following the implementation of LASPO, and now appear to be stabilising at around two-thirds of pre-LASPO levels. The number of certificates granted in the last quarter was down 7% compared to the same period of the previous year. 3. After sharp falls following LASPO, the number of mediation assessments in the latest quarter was 19% up compared to the same period in 2014 and the number of starts was up by 33% over the same period. 1.This quarter, the proportion of applications being granted was 18%, which is 8 percentage points lower than the previous quarter, but 11 percentage points higher than the same quarter of 2014. The downward trends revealed here are the clear consequence of the cuts that the Government has made to the scope of the legal aid scheme. What this quarter’s statistical report also shows are annual figures relating to the numbers of providers of legal aid services. These show that in the three years from April 2012 to April 2015, there has been a significant fall in the number of provider offices for both crime and civil work. The fall has been greater for civil (down 20%) than for crime (down 11%) over this period. In the last year there was a 13% fall in civil providers and 4% reduction in crime providers. Such figures would have led the former Legal Services Commission to ask itself whether there were enough providers in the system to provide a nationally based service, and it not what might be done to arrest the decline. Such sentiments are not aired by the Legal Aid Agency. Indeed, it is possible for the Agency to argue that as there are still good numbers of providers applying for the various tenders for work that the Agency offers, there are still providers willing to do the work and that therefore there is no problem. It is also possible to argue that, by comparison with most other countries, per capita spending on legal aid services remains relatively generous. What is missing from this analysis, however, is any consideration of the age profile of legal aid providers. It may plausibly be hypothesised that many legal aid providers have been doing the work for many years, remain committed to it, and will continue to do it as long as they can. But if no or only very little new blood is coming into the legal aid sector of the legal profession, then the medium to long-term future of the sector must be in some doubt. Such doubts will be reinforced by the continued cutting of the legal aid budget – which are clearly irreversible in the foreseeable future. I agree with Ruth Wayte, who in her podcast with me (January 2015), made the point that providing legal aid services was an interesting and very worthwhile thing to do, However, if the existing model of providing legal aid services through private practice law firms is not sustainable, perhaps these trends hide the need for a rather more profound policy debate about who should provide legal aid services. Should we be thinking about the development of other provider models? Following enactment of the Legal Aid Sentencing and Punishment of Offenders Act 2012,(LASPO) the scope of civil legal aid was significantly reduced. Civil legal services could only be funded under the new legal aid scheme which fell within statutorily prescribed classes of case. (See LASPO section 9 and schedule 1). (b) … it is appropriate to do so, in the particular circumstances of the case, having regard to any risk that failure to do so would be such a breach. The Director of Case Work has the statutory responsibility for making such decisions. In reality, the decisions are taken by case workers working within the Legal Aid Agency. The Lord Chancellor was clearly anxious that, unless he was careful, the existence of exceptional funding might create a means for getting round the limitations he sought to impose on the Legal Aid scheme, which would have the effect of undermining the Government’s desire to reduce public expenditure on legal aid. Thus, in his guidance on exceptional case funding, which was published in 2013, it was stressed that, in reaching their decisions, case workers should understand that this funding ‘is to be used for rare cases’ only; ‘limited resources’ should be focussed ‘on the highest priority cases’. In relation to cases that might involve breach of Article 6 of the ECHR (right to a fair trial) the guidance stated: The overarching question to consider is whether the withholding of legal aid would make the assertion of the claim practically impossible or lead to an obvious unfairness in proceedings. This is a very high threshold” (original emphasis). Shortly before Christmas 2014, the Court of Appeal handed down its decision in the case of Gudanaviciene . The case actually involved 6 cases which had been brought together because they raised in essence the same question – was the Lord Chancellor’s Guidance lawful? It was argued, in effect, that the terms in which the guidance had been drafted imposed too high a threshold on applicants for exceptional funding, and that therefore the guidance went beyond the words of the Act, and were in consequence unlawful. The fact that section 10 is headed “exceptional cases” and that it provides for an “exceptional case determination” says nothing about whether there are likely to be few or many such determinations. Exceptionality is not a test. The criteria for deciding whether an ECF determination should or may be made are set out in section 10(3) by reference to the requirements of the Convention and the Charter. In our view, there is nothing in the language of section 10(3) to suggest that exceptional case determinations will only rarely be made. They therefore concluded that the Lord Chancellor’s Guidance was unlawful. The question for Government was: how to respond to this judgement? There were two options: take a further appeal to the Supreme Court; or reissue the guidance and hope that the revised guidance would comply with the Court of Appeal’s interpretation of LASPO. In the event, the Government decided on the latter course. On 9th June 2015, the Lord Chancellor published revised guidance on how exceptional case funding decisions are to be made in future. While those who drafted the revised guidance are still concerned that the provision of exceptional case funding should be kept under controi, the ‘tone’ of the document seems to have softened. Indeed the emphasis, for case workers taking decisions on these matters is whether – as the Act says, the provision of such funding is necessary. The recent election of the new Conservative Government has clearly scotched any lingering hopes in the legal profession that there would be any major softening of policy on civil legal aid. But the revised guidance on exceptional case funding for civil legal services does represent a change in emphasis which practitioners must note and apply. 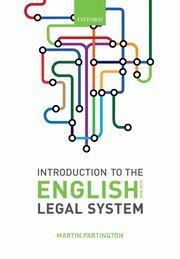 To read the revised guidance on emergency case funding (non-inquest) go to https://www.gov.uk/government/publications/legal-aid-exceptional-case-funding-form-and-guidance. This page also gives a link to the guidance relating to inquest cases. Publication of the second Annual Report of the Legal Aid Agency might be thought to be an opportunity to find out in a bit more detail about what is happening to Legal Aid, following implementation of the Legal Aid Sentencing and Punishment of Offenders Act 2012. Those expecting such information will be very disappointed. The bulk of the Annual Report details how various business targets have or have not been met during the year under review. The report is thus about administrative and operational outcomes, rather than giving a view of how citizens are (or are not) being assisted by legal aid. The Annual Report appeared on the same day as a much shorter summary by the Director of Legal Aid of issues that had come up during the same reporting year. This is also very general in tone – though it does mention a couple of cases that went to the Court of Appeal – and is more about the process of dealing with cases than anything else. All the details on the current operation of the legal aid scheme is now put into quarterly statistical reports. The next is due at the end of June 2015. I will report on these in due course. But I very much regret that the reporting strategy of the former Legal Services Commission – which used to run legal aid – which included the key statistical headlines and provided a commentary on how the scheme was working for the public has not been continued. One of the fundamental changes made to the legal aid scheme as the result of the passing of the Legal Aid, Sentencing and Punishment of Offenders Act (LASPO) 2012 is that, from April 1, 2013, in a number of matters that are still within the scope of the legal aid scheme, potential users of the legal aid scheme can only access the civil legal aid scheme through a ‘gateway’. Clients cannot get assistance by going direct to, for example, a solicitor. It is available Monday to Friday 9am to 8pm and Saturday 9am to 12.30pm. Outside these times users can leave a message and CLA will call back within one working day. Clients who qualify for legal aid in the first 3 Gateway categories listed above must usually receive any advice remotely. Clients who qualify in the other 2 categories of law have a choice about whether to receive any advice remotely or via a face-to-face provider. The gateway provides a two-tier system. At tier one, the operator will determine whether the matter is within the scope of legal aid and will also determine the financial eligibility of the client to legal aid. If both these tests are satisfied, the client is referred to a specialist second tier advice provider. In cases that fall outside the scope, operators are training to inform people about possible alternative advice providers, e.g. in the charitable advice or third sectors. Where a case is found to be within the scope of CLA, the client is referred to a second tier provider – a specialist who will normally provide advice remotely without a face-to-face meeting with the client. The one exception to this is that where a client needs legal representation, arrangements will be made for a face-to-face meeting. Because the compulsory element of the scheme was new, the Government undertook to review how the scheme was working within the first two years of its operation. In December 2014, it published the outcome of this review (and four separate research reports that were commissioned by the Government). My prediction is that, as policy evolves, there will be more use of these modes of accessing legal advice and assistance. The Government’s view is available at https://www.gov.uk/government/publications/civil-legal-advice-mandatory-gateway-review. Annex A gives more detail about the issues within scope. Annex B gives details about the agencies currently providing the gateway service. What has happened to Legal Aid? The big changes to the legal aid scheme, designed to cut public expenditure on legal aid, were introduced in April 2013, following enactment of LASPO 2012. The first Annual Report of the Legal Aid Agency has now been published. This provides more information on the direct impact this has had on the amount of legally aided work that has been undertaken in the first 12 months since the Act came into effect. • Total acts of assistance and spend – The LAA continued to fund advice, assistance and representation for eligible individuals across England and Wales by funding 1.8 million acts of assistance overall (Civil Legal Aid and Criminal Legal Aid). [2012-13: 2.3 million]. Total net expenditure was £1,709.5 million. [2012-13: £1,916.7 million]. • Number of providers – As at 31 March 2014 the LAA held 1,435 civil and 1,519 crime contracts [March 2013:1,899 civil and 1,599 crime contracts]. • Civil Legal Aid – The LAA funded 0.50 million Civil Legal Aid acts of assistance overall [2012-13: 0.93 million, a 46% decrease in the year]. Civil Legal Aid net expenditure was £800.9 million [2012-13: £941.6 million]. • Criminal Legal Aid – The LAA funded 1.32 million Criminal Legal Aid acts of assistance [2012-13: 1.36 million, a 3% decrease in the year]. Criminal Legal Aid spend was £908.6 million [2012-13: £975.1 million]. What these figures show is the dramatic impact the cuts in Legal Aid have had on civil legally aided matters. There have been huge falls, both in the numbers of acts of assistance, and in the numbers of those with civil legal aid contracts with the Legal Aid Agency. By comparison, criminal legal aid has suffered less, though well publicised actions in particular by the Bar indicate that the fees payable for legally aided work in crime have been subject to considerable constraint. Lawyers will of course deplore these trends. But it has to be said that there is no indication of any political will to restore funding to the legal aid scheme. This appears to be the start of a new reality, a context in which rather different forms of service delivery to the public will have to be devised.